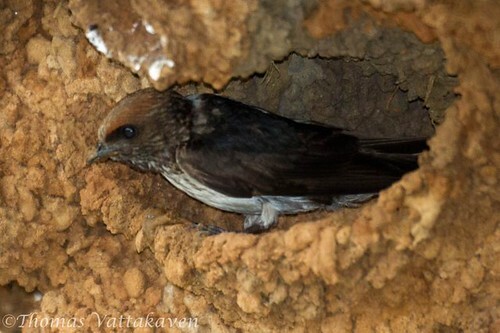 The Streak-throated Swallow or the Indian Cliff Swallow (Hirundo fluvicola) is a social swallow, which spends all its life in big flocks which never separate. It has a chestnut brown head with black streaks and a broad dark line through its eye. The wings, tail and rump are a dull brown, while the lower plumage is white, streaked with brown. The iris, legs and bill are black and the tail is slightly forked. They are mostly found in large clusters of nesting groups around water bodies. 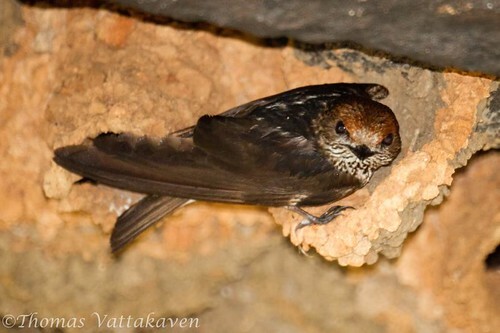 It is erratic in its distribution but within its range it is plentiful around water bodies near cliffs or other masonry on which it can build its nests, often in the company of Sand Martins. 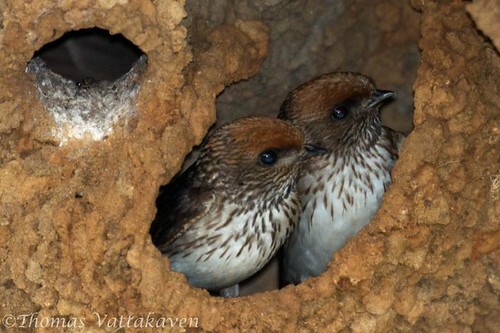 The nest is made from tiny pellets of clay which the birds collect from the ground, and is a small circular chamber with a small tubular entrance. 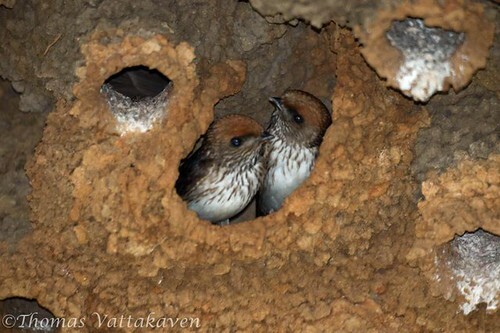 Numbers of nests are built together (below) like a honeycomb numbering from 20-600 nests. 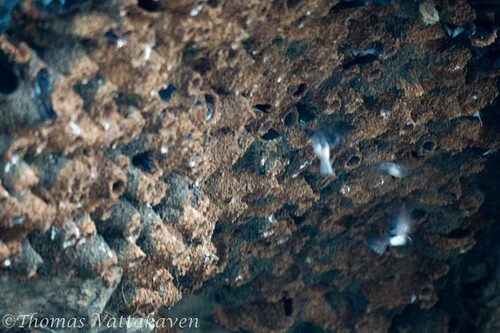 They lay a cluster of 3-4 eggs. The young fledglings are fed on the wing at the entrance of the nest. 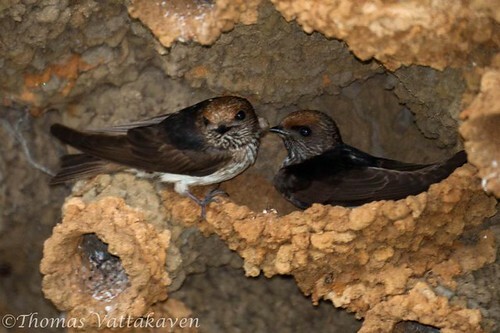 This colony was photographed in Ranganathittu bird sanctuary, where it has built its colony of nests beneath a rock in the middle of the water body.